The good news about the crippling loss the Ducks suffered on Thursday is that it didn’t hurt them on Sunday. “They didn’t let the Huskies beat them twice,” as coaches say. The bad news? Twelve wins at this point in the season means they probably have to win the conference tourney to make the Big Dance. Or, win nine of 12 down the stretch. Anything over 10 or 11 losses in the bad-reputation Pac-12 this year won’t impress the committee. With the losses they’ve had, they need 23 wins or the conference tournament trophy. Last point on this, or it’ll drive us all crazy. Oregon has let five clearly winnable games slip from their grasp: Texas Southern, Oregon State, Houston, UCLA and Washington. Winning just three of those would have them at 15-5 right now, and likely headed to the tournament. King’s game is growing by the minute. Game after game, the Ducks show a glimpse of what is possible. Louis King’s all-around game is smart, assured, and spectacular at times. He’s the most gifted combination of athlete, basketball player and solid teammate to come through Oregon in years. He has a different style of play, but in a lot of ways, he’s a bigger version of Fred Jones. Or maybe what Malik Hairston could’ve been? I think so. As Paul White goes, so go the Ducks. 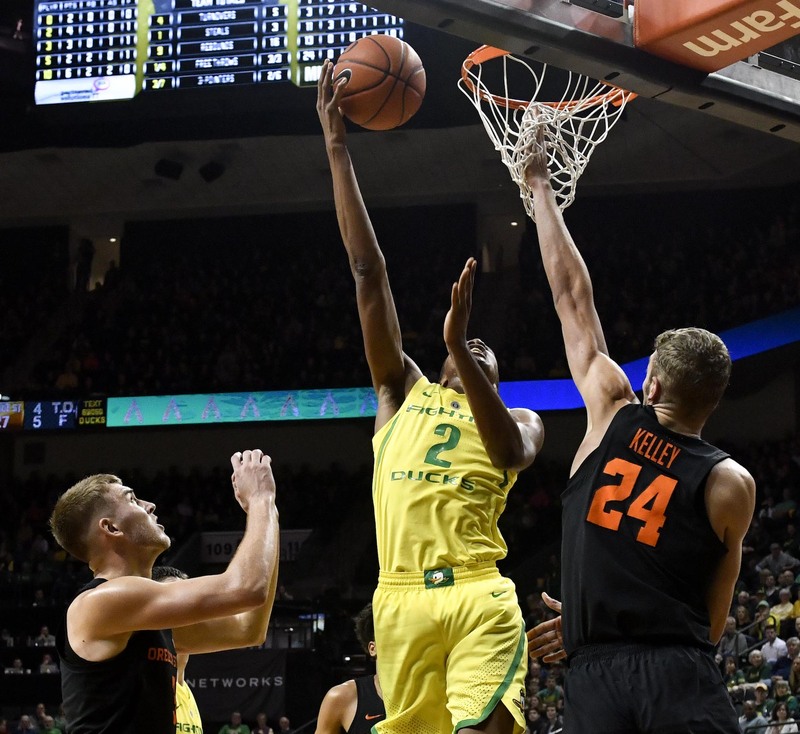 He played well against Washington State, rebounded, defended and shot it like a senior, and again the Ducks won easily. Payton Pritchard’s shooting is still bad. If ever I saw someone in need of a week off and a chance to play some Pop-A-Shot to remember that this is supposed to be fun, Pritchard is it. Just let it fly! Don’t worry if it goes in. Let the ball do the work. It’s hard to constantly criticize him though. Nobody wants success more. As a friend said to me once, “Hey, you’re squeezing it so hard even the Almighty can’t get in there and help you.” Feels like Pritchard might be in that spot now. Wooten’s return means Oregon is legit in the paint again. 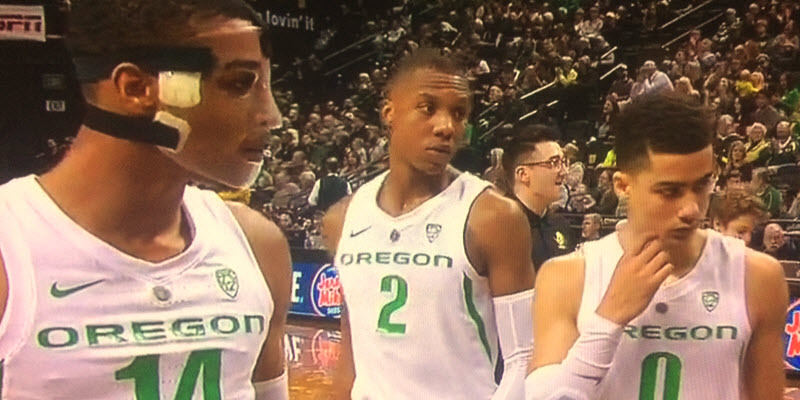 Kenny Wooten’s return makes Oregon competitive with anybody in the conference. The Ducks can defend and rebound when they put out maximum effort, and when they do it makes up for their inconsistent shooting. You can always rebound. Always. The thing is, Brown kind of had to go. The draft was so thin last year, and so much deeper this year, that Brown might not even have been a first-round pick this year even if he had improved. Sometimes it’s all about timing. The last mock drafts I saw had Bol Bol going in the late teens of the first round due to the injury, and King going at the end of the first round. He’s a wonderful talent. Only his injuries (like Bol) can hold him down. There are about seven small forwards rated ahead of King at this point, and enough other talent that it’s possible — possible — that he wouldn’t get the guarantee that he’s a first-round pick. And if not, maybe he returns? We can only hope. Oregon’s now officially in the thick of it for Cole Anthony. It’s Oregon or the Tar Heels. Anthony still looks like a North Carolina lean, but he’s as good a scorer as there is. He’s the third-ranked player nationally and number-one combo guard. If he comes to Oregon, he’ll play 30 minutes a night right away. He can shoot it from anywhere, and the Ducks need scorers for sure. 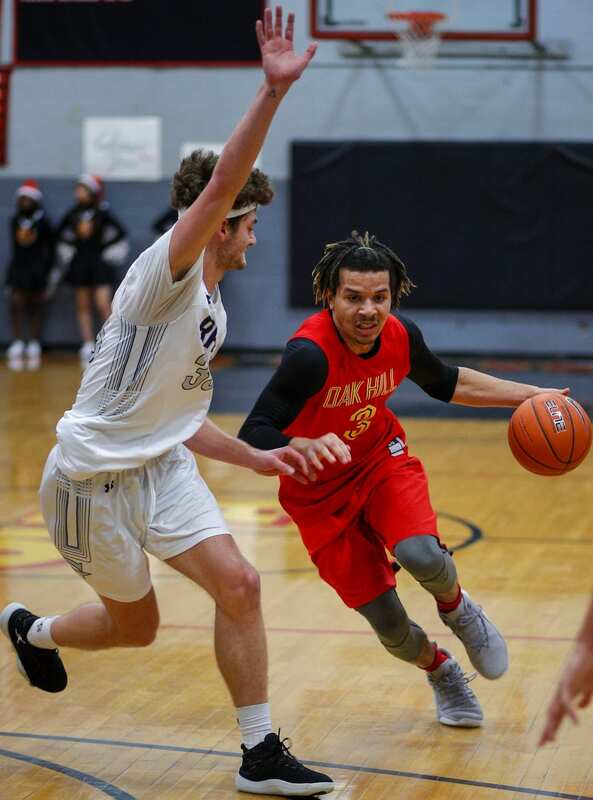 Cole Anthony is the kind of scorer Oregon needs on next year’s roster. Having all but dropped UCLA after the Steve Alford firing, Cassius Stanley appears to be down to Oregon and Kansas. After reading 20 articles, I bet he winds up at Kansas, but … Oregon’s won a couple of those lately. Stanley has clearly worked on his shooting. His pull up shot in the mid-range is pretty deadly now, as is his little high arching floater in the lane. If the Ducks get Anthony or Stanley, they’ll have the scorer they need for next year to do what they’d hoped would happen this season. One last note. Duck signee CJ Walker was snubbed by the McDonald’s All-American game, mostly because the ratings for basketball players get solidified too early. Walker’s the 25th highest rated player in the country, but has been playing like a top-five guy for a year. No way he shouldn’t be in that game. I bet he shows up with a little chip on his shoulder about it. Pritchard’s nightmare season has continued. He’s now officially pressing. After that horrific call on him to end the Washington game, he came back and went 2-10 from the field. At home. Wow. Here’s hoping he realizes his teammates and the fans don’t expect him to carry the team. Pritchard didn’t have to get near the shooter at the end of the game. He wasn’t going to make it anyway. Be smart. Let him chuck it from 55 feet. Horrific call though. Atrocious. That won’t be what will keep Oregon out of the NCAA tourney this year, though. That’s going to be injuries and bad play at the end of close games. Meanwhile, the Oregon women are just destroying people. Outright dominance. The sweep of the Washington schools puts them at 19-1. Satou Sabally had 33 points Friday, Erin Boley scored 31 Sunday, and neither of them is Oregon’s best player. The Ducks now host 18-1, 14th-ranked Utah. If sanity prevails, there will be a huge crowd at Matt Knight on Friday night. This team deserves it.